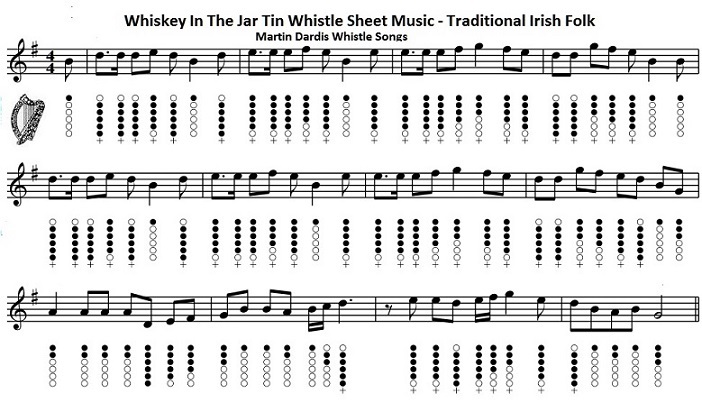 Whiskey In The Jar sheet music and tin whistle notes for Irish traditional song. 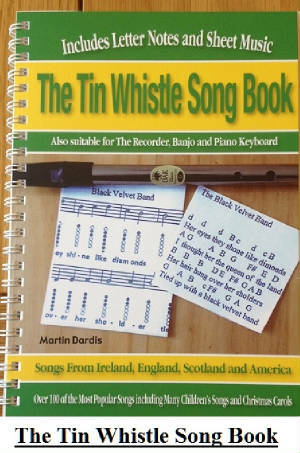 made famous by The Dubliners.The easy to read letter music notes are included. I have included a couple of versions in different keys. The first one is in G Major but can be played on the D whistle. A A G A B C A G E D E C.
It's a simple letter note version for those who don't read sheet music.These are the notes I'm playing on the piano keyboard in the youtube video lesson.